With one in eight women likely to get breast cancer at one time or another in their lives, it’s a topic that makes an awful lot of women extremely nervous. 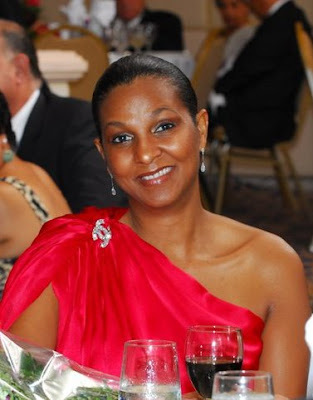 Today Belizeans heard the news that Mrs. Kim Simplis Barrow, the wife of the Prime Minister of Belize has been diagnosed with breast cancer, and is seeking urgent medical attention in Miami, Florida USA. Being diagnosed with cancer is very serious; it is something you shouldn’t take lightly. Leading up to the diagnoses you get the usual array of tests: bone scans, CT, blood tests, etc., which can determine the stage of the cancer and level of treatment. Approximately fourteen years ago a family member was diagnosed and treated successfully for stage 3 breast cancer with chemotherapy. Chemotherapy is a treatment which is very beneficial, but has some serious side effects. Treatment with chemo can wipe out all your cells; the good and the bad, including fertility, but that is the price we pay when the alternative is giving cancer the benefit of the doubt. The fact that most people don’t know, is that the Belize Cancer Center is capable of administering chemotherapy to Belize cancer patients. However, they lack the funds to be able to properly treat the cancer patients in our country. Cancer affects us all whether it is Mrs. Barrow or the average Belizeans. We wish Mrs. Barrow a speedy recovery and prayers go out to Prime Minister Barrow and the family. Please keep in mind that the Belize Cancer Center, more that ever needs our donations and support. Wow, this must be a scary time for her. I hope that this is only a test for her and that she will heal completely. My family and I pray that God's favor and blessing come upon her at this time of need. Prayers and more prayers going out to her and every single woman who is going thru it or has suffered from it. We are all women and it could be any of us; this deadly cancerous virus needs to be cured and fast. My prayers go out for her. Prayers and best wishes for a speedy recovery and safe return home. Sending prayers for our first lady. My thoughts and prayers go out to Mrs.Barrow and her family. I am so sad for them; Mrs.Barrow I am praying for you and your family. Dear Lord, I ask you to turn this weakness into strength, suffering into compassion, sorrow into joy, and pain into comfort for others. May your servant trust in your goodness and hope in your faithfulness, even in the middle of this suffering. Let her be filled with patience and joy in your presence as she waits for your healing touch. My prayers are with our First Lady, the PM and their family! God speed! Mr. Prime Minister, you and your wife are in my prayers. Speedy recovery Kim. Linda, I am sorry to hear this news. But maybe our PRIME MINISTER WILL PUT CANCER AS A PRIORITY, WE HAVE SO MANY UNFORTUNATE BELIZEANS SEEKING TREATMENT THEY CAN'T AFFORD. AND BECAUSE WE DON'T HAVE ACCESS TO THE LEVEL OF CARE THAT IS AVAILABLE IN AMERICA. I PRAY THAT ONE DAY ALL BELIZEANS WILL HAVE COMPLETE CANCER CARE IN BELIZE. Keeping her in my prayers as she fights this ferocious battle!! Being a three year survivor of breast cancer, I can say she can survive this battle. All the support we give her is definately going to make her stronger, so let's be there for here and make her feel like she can conquer the world! Cancer is an epidemic for which a cure must be found or it will wipe us all out. I am extremely saddened for Mrs. Simpliss-Barrow. I pray for a quick and long lasting recovery. May God have mercy on her and allow her to be healed. Prayers go out to her and her family. Hope everything goes well with Mrs. Barrow. God bless the family. My prayers go out to Mrs. Barrow and family. I ask God for a speedy recovery for our First Lady. God bless this family! May Mrs. Barrow be healed and may she, who is traveling to Florida for treatment, be able to generate more resources in Belize for people, who can not travel to receive needed treatments. My prayers goes out to her, I know she will find the courage and strength to pull through this very difficult time ahead. All the best and God bless her and give her the courage she will need. Blessings on Kim for a speedy recovery!! I am very sad to hear that Ms. Simplis-Barrow has been diagnosed with breast cancer. I wish her strength and comfort in the road ahead. I pray God's blessings on her and that his mighty hands work through the doctors and surgeons to bring healing to her. I know this must be a very trying time for our PM and I also pray for him to have the strength and courage to be a pillar to his wife and may they both turn their eyes to God who is the only one that gives and takes and has power over life and death - God can bring positive change in this matter for them. God, please we pray guide your people in finding a cure for Cancer. Too many family and friends are being affected by it. Get well Mrs. Barrow! I must say that my prayers are with you and your family... yes our PM needs our prayers for him and her to get over this tragedy very well. Cancer is a silent killer and lot of Belizean women are starting to be diagnosed with this deadly disease!!! Mr. & Mrs. Barrow my prayers are with you.... Hope for all the best!!!!! Hi Linda, thanks for this post about First Lady of Belize. I cannot say the words that would explained how sorry I am to hear that. My God,this cancer thing is getting so out of control. Of course I know that's not a question u can answer. It is just a figure of speech. I am truely sorry to hear that. Mrs. Barrow my prayers are with you for a speedy recovery.